Yeah, it was a win. I love planned-overs (you know, deliberate leftovers) and prepping ahead for future meals. I’ve learned to cook large batches of beans and freeze some in quart or gallon-sized bags, chop harder veggies and store for snacking and cooking, and generally try too cook extras most nights because of a teen boy and hungry hubby. 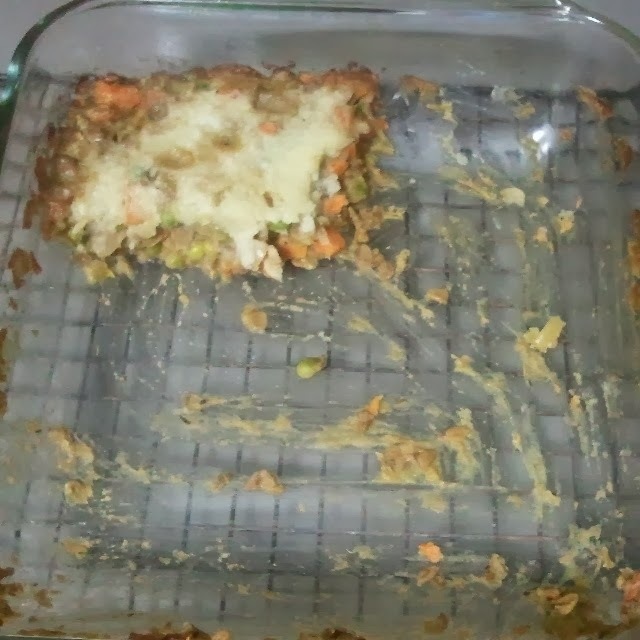 Last night I discovered a mash up of leftovers and pre-prepped veggies and decided to go with something different for us – Shepherd’s Pie. The veggie potpie from a few weeks back went over well, so I decided to play with the veggie filling a bit by adding lentils to make a heartier dish. Served with simple mustard greens, dinner was a huge hit. Cook lentils and set aside. Saute celery, carrots, and onion in water until soft, then add 1/4 cup water. Stir in herbs, soy sauce, and nutritional yeast; simmer until water reduces. Add lentils and peas, and cook until heated through. 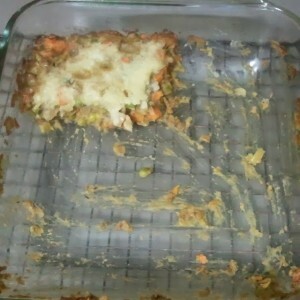 Pour veggies into a prepared 8″ or 9″ square dish (or whatever casserole dish you have handy) and top with mashed potatoes. Bake for 25-30 minutes. In place of the herbs, soy sauce, nutritional yeast, and 1/4 cup water, use 1/4 cup of your favorite broth or stock. Have you turned your leftovers into something new? 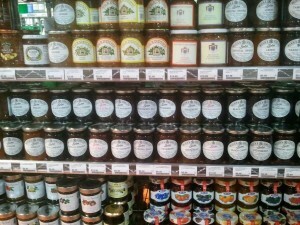 Hubby and I finally stopped into Southern Season this past Sunday. Imagine a cooking school, gourmet grocer, beer and wine shop, coffee shop, kitchenware gift shop, and restaurant under one roof. So many nut and soy butters, so much time. 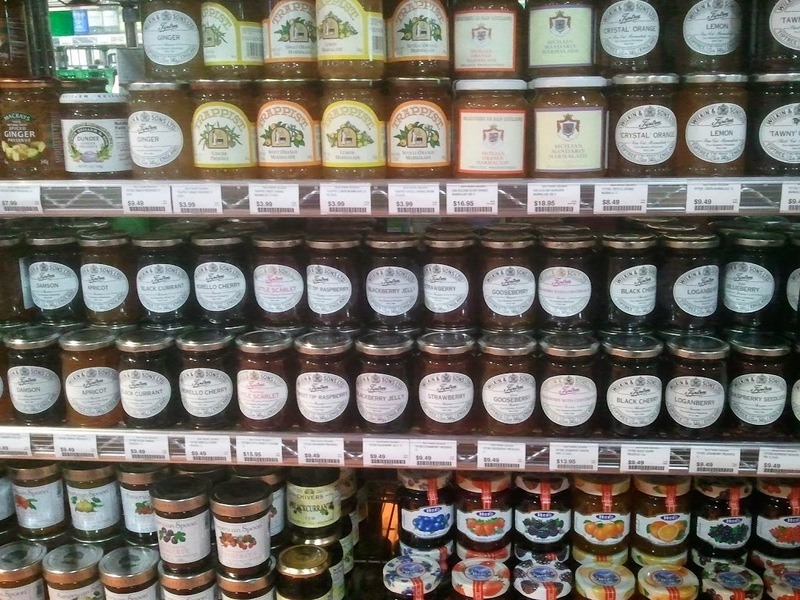 Yes, a huge section of just jellies, jams,and preserves. 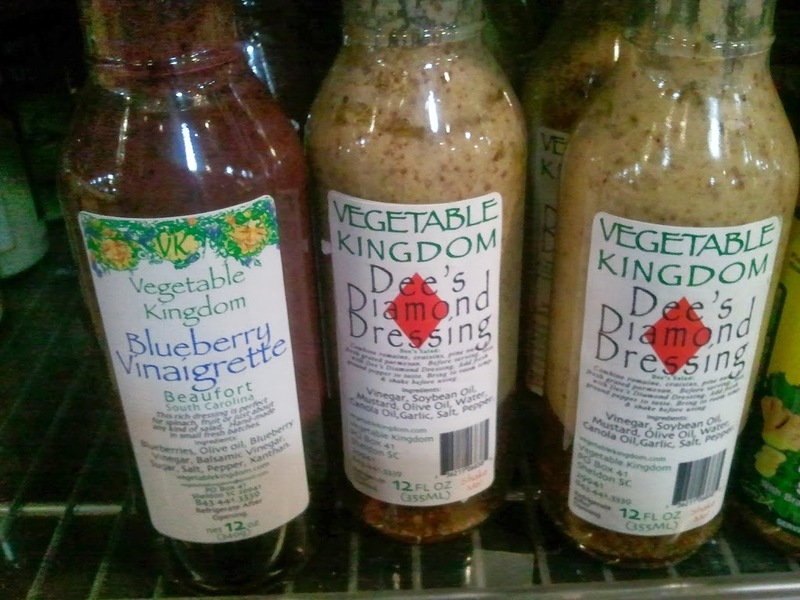 SC’s own Vegetable Kingdom dressings! Yes, chocolate pumps! Several options available. 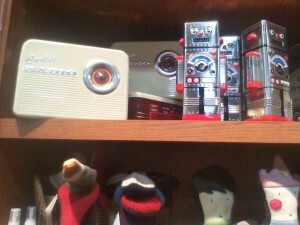 Retro cookie tins ready for filling. We didn’t eat this time, but will check out Southerly from breakfast, lunch, dinner, or bunch sometime. Gluten-free and vegan options are available at all serving times. 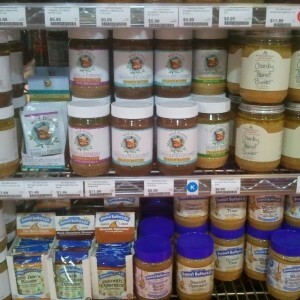 Have you been to Southern Season yet? Once again,. 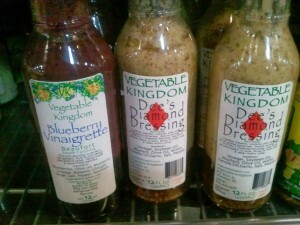 Puree Organic Cafe proves that vegan organic fare is delicious for veggies and omnis alike. Ah, date night. Sometimes Hubs and I can easily agree on where to dine and sometimes we can’t. When it comes to veggie dining, options on Charleston are growing, but we have our favs and tend to stick with them. If you haven’t noticed, we like Puree Organic Cafe in Mt. Pleasant, SC. A lot. It’s on our short list of vegetarian places in town that hubby really likes. 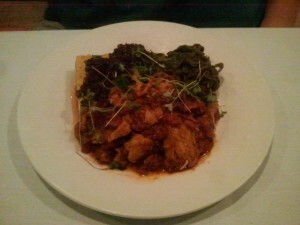 We stopped in to try to new dinner menu and were thrilled with the results. Instead of his beloved Deep South, Hubby went with the Rainbow Row ($21). Old Charleston Spice braised seitan, with sautéed collards, mini corn cakes, and sweet onion jam. If you want seitan, this is the place to get it. Seriously. Go get some. 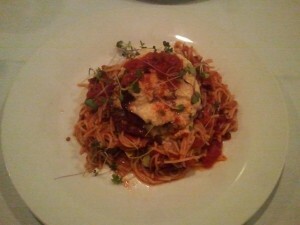 I opted for the Eggplant Parmesan ($18). House-made almond Ricotta and gluten-free pasta made it my first choice. 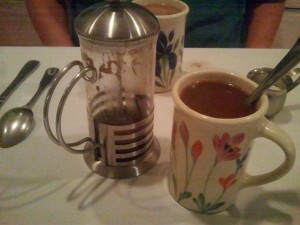 Of course we had coffee and desert. Almond, soy, and coconut milk are options. 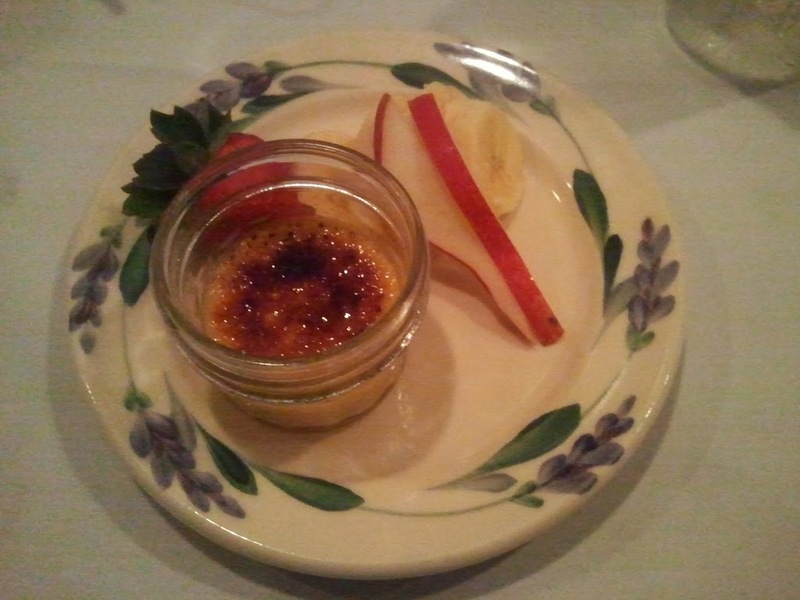 Hubby’s Coconut Crème Brulée ($9) was yummy. 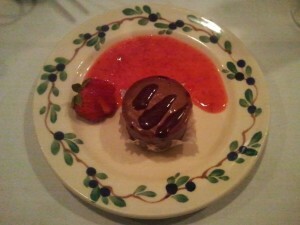 My Mexican Chocolate Cheesecake from Unbaked was fantastic! We met Chef and she was as friendly and delightful as well. 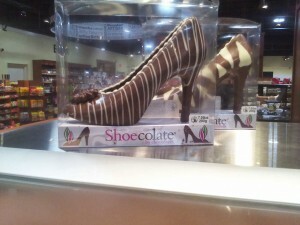 See why we like it? It was all even better than it looks. Clean, gluten-free, organic eats from people who love what they do. Check the conversation on Facebook. We’re not the only ones who love them.